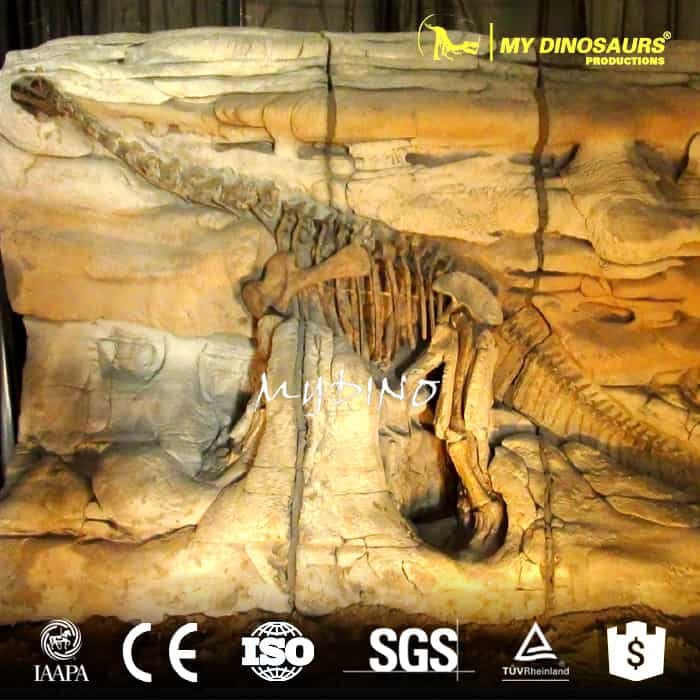 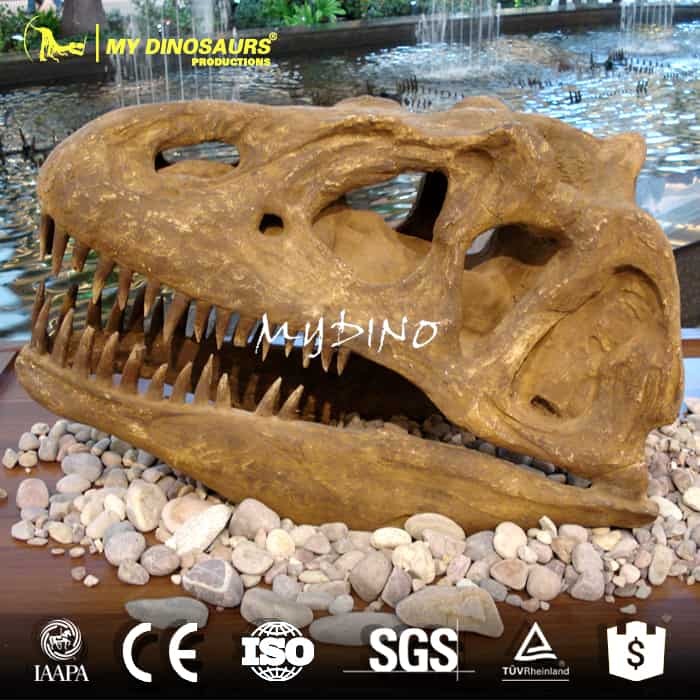 Tyrannosaurus rex (“king of the tyrannical lizards”), also known colloquially as “The King of the Dinosaurs,” was a giant carnivorous tetrapod dinosaur from the Upper Maastrichtian, the last stage of the Cretaceous period, 65 to 66 million years ago. 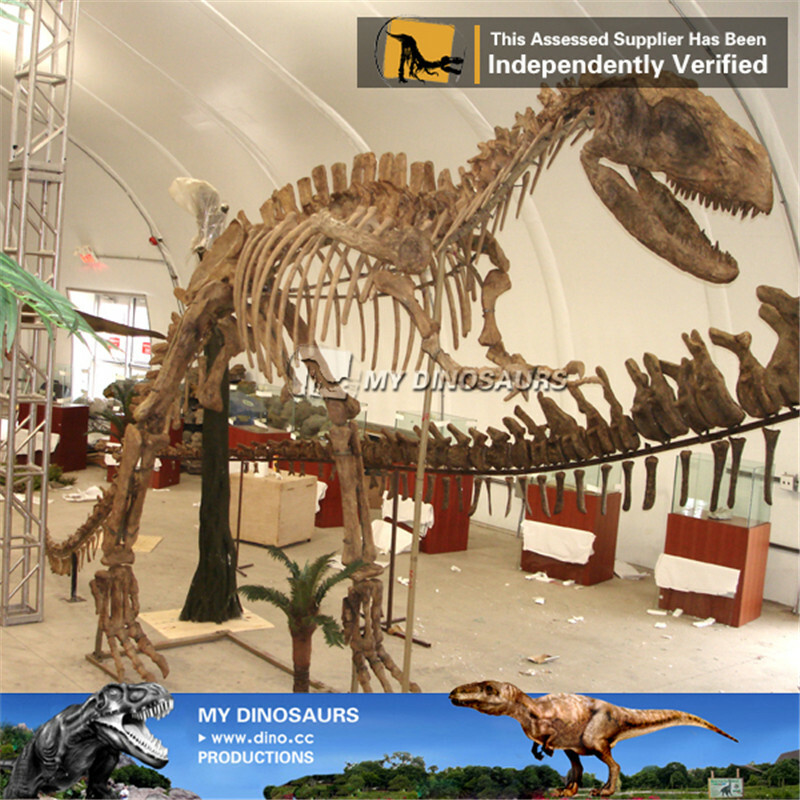 Tyrannosaurus was a bipedal carnivore with a massive skull balanced by a long, heavy tail. 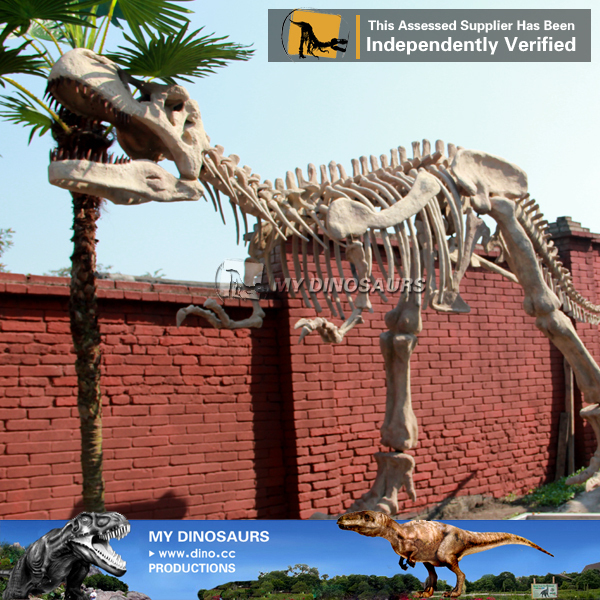 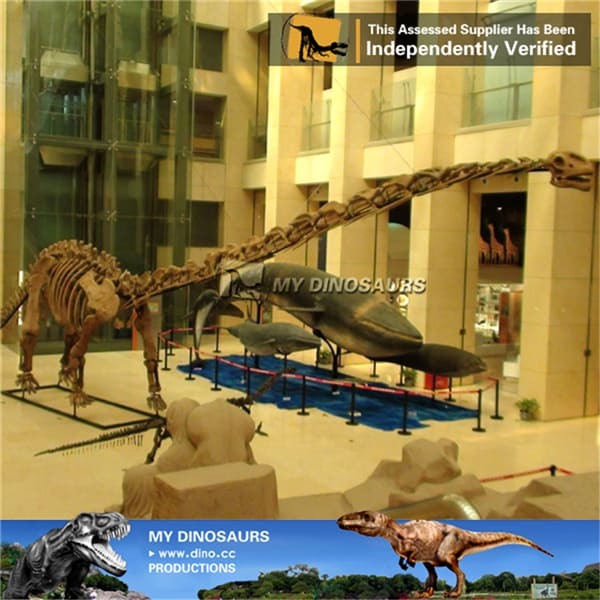 Life-size T-Rex skeleton. 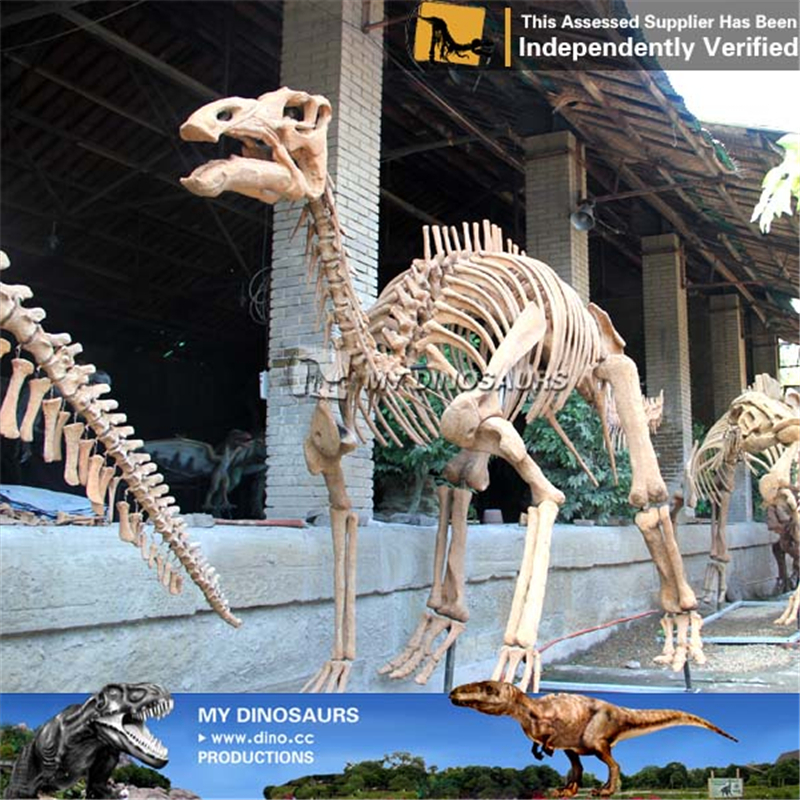 Put all other dinosaur skeletons to shame.